Race & rally cars karts and motorbikes for sale, track day cars & bikes, classic & historic cars & bikes; trailers, motorhomes, awnings, motorsport transporters & lorries & support vehicles; motorsport parts & tools for sale; motorsport memorabilia; race & rally tuition, teams in motorsport, drives, rides & co-drivers, motorsport services; jobs wanted and available; motorsport business opportunities; grid girls & promo models. The UK's number 1 place to book your Car or Motorcycle Track Days & Driving Experiences. 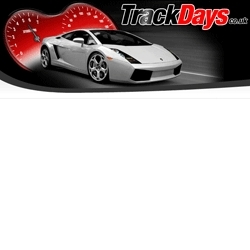 At Trackdays we are independent and therefore not tied to any one track or provider. This means we offer a huge choice of days at Circuits located across the UK and Europe and can offer you non-biased advice on the best Experiences and Events to suit your requirements.